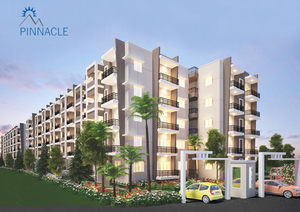 The Pinnacle is one of the much awaited Architectural marvelous residential developments which is located at Avalahalli, Old Madras Road. It will be showing the class among upcoming projects and gives the experience in living apart and together. CMRS Group offers you the unique and limited opportunity to own a luxurious apartment at one of the suburb location in the center of the Garden City. A variety of modern amenities are offered with this affordable project where privileged customers can utilize the golden opportunity to live in a great community.